On Saturday evening, Texas officials at the State Preservation Board quietly and unceremoniously removed from the Texas State Capitol a Civil Rights-era plaque that misrepresented rudimentary Civil War history. "We, therefore, pledge ourselves to preserve pure ideals: to honor our veterans; to study and teach the truths of history (one of the most important of which is, that the War Between the States was not a rebellion, nor was its underlying cause to sustain slavery), and to always act in a manner that will reflect honor upon our noble and patriotic ancestors." Texas officials from across the political spectrum had previously condemned the plaque's inaccurate representation of slavery as something other than the prime cause of the Civil War. At last Friday's State Preservation Board meeting, all board members—including the comparatively centrist House Speaker Dennis Bonnen and the firebrand Lt. Gov. Dan Patrick—voted for the plaque's removal. Previous debate had largely been relegated to the procedural intricacies regarding which relevant state actors had the proper legal authority to commence and ultimately execute the plaque's removal. In November, Texas Attorney General Ken Paxton issued a legal opinion that lawmakers, the State Preservation Board, or the Texas Historical Commission could decide how to address a formal request for plaque removal. The controversial marker was removed from its spot in the state Capitol on Saturday evening, State Preservation Board spokesman Chris Currens confirmed Monday. Agency staff performed the removal themselves, Currens said, and the plaque will be kept at its offices in downtown Austin until the State Preservation Board decides what to do with it later this month. Eric Johnson, a Dallas Democrat in the Texas House of Representatives who had previously led the charge to remove the plaque, tweeted triumphantly on Sunday. 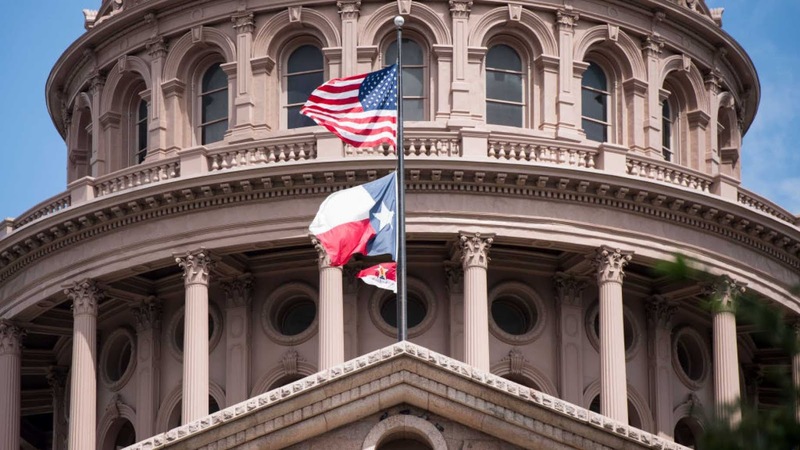 The removal of the plaque by the State Preservation Board marked an unexpectedly quiet end to a longstanding simmering issue in Texas political circles. Momentum for the plaque's removal heated up last year, when Johnson launched the formal process for removal that led to Paxton's legal opinion. The plaque had been prominently displayed for the myriad of visitors that the Texas State Capitol annually receives. American historians are in almost uniform agreement that slavery was the leading cause of the Civil War. South Carolina, the first state to secede from the Union, noted in its December 1860 "Declaration of the Immediate Causes Which Induce and Justify the Secession of South Carolina from the Federal Union" that there was "an increasing hostility on the part of the non-slaveholding States to the institution of slavery." The following month, Missisippi's equivalent declaration unambiguously proclaimed: "Our position [of secession] is thoroughly identified with the institution of slavery—the greatest material interest of the world."